My kids have taken over my blog today! 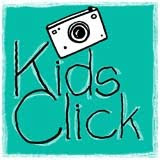 Today I am linking up to a new and very fun meme called Kid's Click. If more than one of your kids wants to join in, that's great. Just make sure you label your photos so she knows whose is who! This is such a great idea Simoney! Thanks for having us! How fun! I love your kid's pics! This is so fun!!! They are pretty good with the camera! Miss M and Master A are great photographers. That's a great shot of your and your husband - what a fabulous looking couple!! That must be Versailes in the wintertime...bbrrrr! WIshing you a wonderful week Natasha! These are lovely, I am going to see if my girls want to join in. No idea what they will choose!! Tooo cute! I love the kids point of view. Great pics! I cracked up at the book! I need to find one for my friend's daughter! Looks like some young bloggers! I love Christmas morning too, and my mom and dad totally rock. Loved all the posts I missed Natasha, the lavender, the Q post, Lena. I am hoping to get time to get some blogging done this week! I have way too many weeds in my garden for blogging during the spring! Now this is fun, Natasha, your kids are the sweetest! They made a lovely post, just for their lovely mum!! OOh yay! Thanks for joining in. Seems there's plenty of interest but it may take a while for the kids to get themselves organised (LOL). We have til next Monday to link up anyway. How cool that your son chose "mum and dad!" Love this idea. If my kids were still home, I'd do it in a blink! Great photos, mum and dad sure look cold, though! Hi Natasha, Great kid's pics. Love the idea. Looks really cold there! Thank you so much for stopping by and leaving a comment. It meant so much to me. I wasn't sure wich blog to start looking, since you have three, but with the 5 min for myself... I can't go wrong with this lovely title! Love the idea and your blog as well. I'll be visting you and following as well. Thanks for following me!